Margaret Randolph Higonnet is one of the feminist academics who have fundamentally shaped the field of women’s and gender history of the First World War since the 1980s. She has published on a wide range of topics in this field, including women’s fiction, poetry and autobiographical accounts of war nurses and female soldiers, connecting these to experiences of trauma, colonial representations of the war, children’s books, and more. Trained in Comparative Literature, Higonnet combines critical methods of textual analysis and literary theories with historical approaches in interdisciplinary work. Higonnet’s distinguished career spans several decades beginning with studies in Tübingen, University College London and Yale. She has received a number of international scholarships and has held many professional offices, including a full professorship at the University of Connecticut from 1981 to 2016, where she continues as Professor Emerita. Currently, she is president of the International Federation of Modern Languages and Literatures (FILLM). 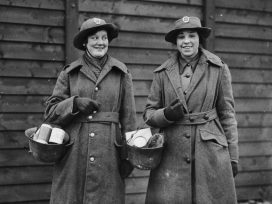 Did the two World Wars really trigger fundamental changes in the gender order and contribute to the emancipation of women, as is often claimed? 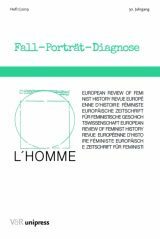 Feminist literary critic and historian Margaret R. Higonnet tells Christa Hämmerle about the ‘double helix effect’ in gender relations during and after the First World War.